PLANS to knock down a derelict Oxford pub and build 16 flats, have been criticised by parish councillors and people living nearby. 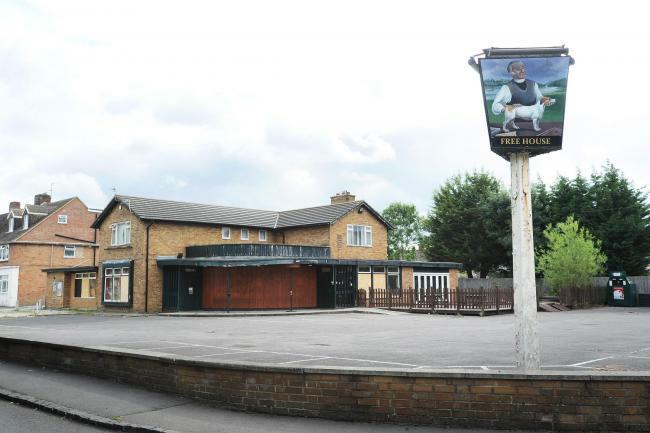 Zaiqat and Shoqat Ali Saddique submitted an outline application to Oxford City Council in July to demolish the old Jack Russell pub, in Salford Road, Marston, and build three-storey flats along with 19 parking spaces. Marston Parish Council warned at Tuesday's monthly meeting that the plans were out of character and represented over-development for the area. The council was also worried about the density and height of the development at three storeys, as well as potential impact on local traffic. Marston councillor Mick Haines described the project as “a carbuncle”. He told Oxford Mail: “It’s too high and everything about it is too big. It is massive over-development and doesn’t fit in to the area whatsoever. 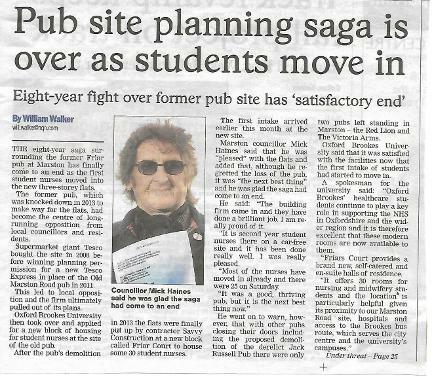 “I would like to see it back as a pub obviously, but I do think we need something there for the community. “We have lost a community asset. There is no plan to get anything out of this whatsoever. Mr Haines said he had handed out 200 leaflets to residents opposing the plans and that the response had been very positive in opposing the project. The proposed development has also attracted a wave of opposition from local residents who have written to the council to make their feelings known. Another, Janet Crane, said: “I believe these plans are over-development of the site. “These flats are obviously aimed at families and the additional traffic and inadequate number of parking spaces will lead to an increase in on road parking and numbers of cars on roads that are already very busy and often congested due to parked cars blocking the roads. “I remember this pub being a hub of the community. It is a shame to lose it. Oxford City Council is yet to decide on the proposed development and demolition of the pub which was has stood vacant since last November. HUNDREDS of vehicles thundering along a main road in Marston is causing homes to shake and shudder, it has been claimed. Residents along Cherwell Drive have said the number of heavy goods vehicles and cars driving along their street is sending vibrations through their houses. And one neighbour, Veronica Savage, said it has become so bad that cracks have begun to appear in her walls. 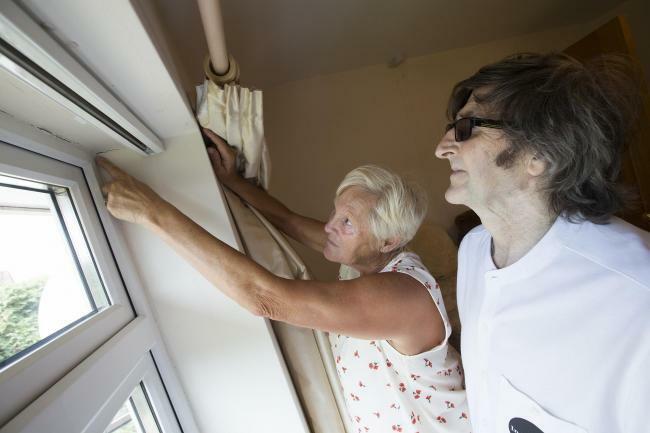 Ms Savage, who has lived in her house in Cherwell Drive since 1964, said she had contacted Oxfordshire County Council to solve the issue, but claimed her attempts had been "fruitless". The 73-year-old added the condition of the road and the amount of heavy traffic in the area needed to be looked at urgently. She said: "It's just getting worse. It makes the house shudder and shake every time a heavy vehicle passes. "I think it's something in the road causing it. It doesn't matter where you are in the house, it even wakes me up during the night. "It feels like the attic is coming down and cracks have begun to appear in my house." Ms Savage said she had become fed up with the problem and wanted to see the council restrict the number of HGVs and reduce the speed limit in the road, which is currently a 30mph zone. Marston councillor Mick Haines said the increase in traffic was a result of people using Cherwell Drive as a "rat run" into Oxford to avoid the ongoing roadworks at the Cutteslowe and Wolvercote roundabouts. He said: "I think the main thing is to reduce the speed limit. Some of the big lorries go down there far too fast. "They also need to relay the road. There is a couple of spots which, when that amount of traffic – a lot more than used to – goes down there, it sends vibrations to the houses." The independent Oxford city councillor recorded a traffic survey of the number of vehicles coming through Marsh Lane to the roundabout next to Cherwell Drive. On July 7, between 7.30am and 9.30am Mr Haines recorded 1,400 cars, 23 lorries, 10 coaches and 42 motorbikes driving through the area. Cherwell Drive is part of multi-million plans by Oxfordshire County Council to overhaul roads around Headington. The junctions around Cherwell Drive are set to be changed and parking spaces in Windmill Road and Headley Way will be removed to make way for cycle lanes in the £12.5m Access to Headington scheme. But county council spokeswoman Emily Reed said the council was not doing any resurfacing works in Cherwell Drive as part of the proposals. She was unable to confirm if the council would look at carrying out other maintenance work in the road. 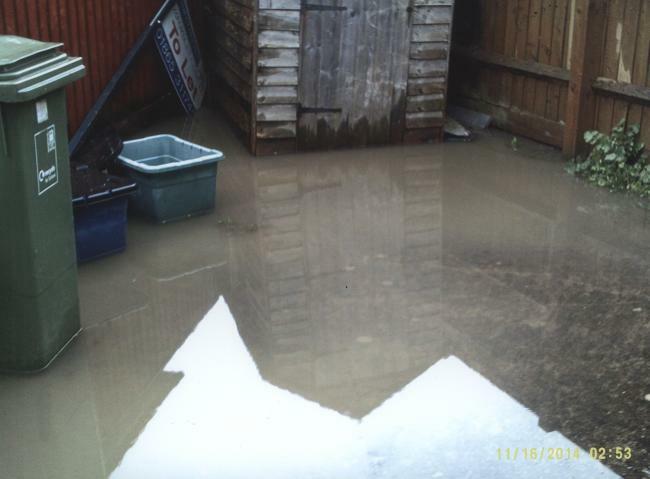 Previous flooding at a house in Croft Road, Marston. A £2.2m flood alleviation project which will protect 110 Oxford homes has been given the go ahead. At an East Area Planning Committee meeting on Wednesday night Oxford city councillors voted unanimously to approve the project which will protect homes in Marston and Northway in the event of flash foods. Project manager of the scheme,Helen Vaughan-Evans told councillors at the Town Hall meeting that the project had been borne out of repeated incidents of flooding that had devastated homes. The area was hit by flash floods in 2005, 2007 and most recently in 2012 leading to calls for improved flood defences. Householders also had to deal with raw sewage flowing into gardens at Old Marston Road in 2014, leading to calls for improved sanitation. 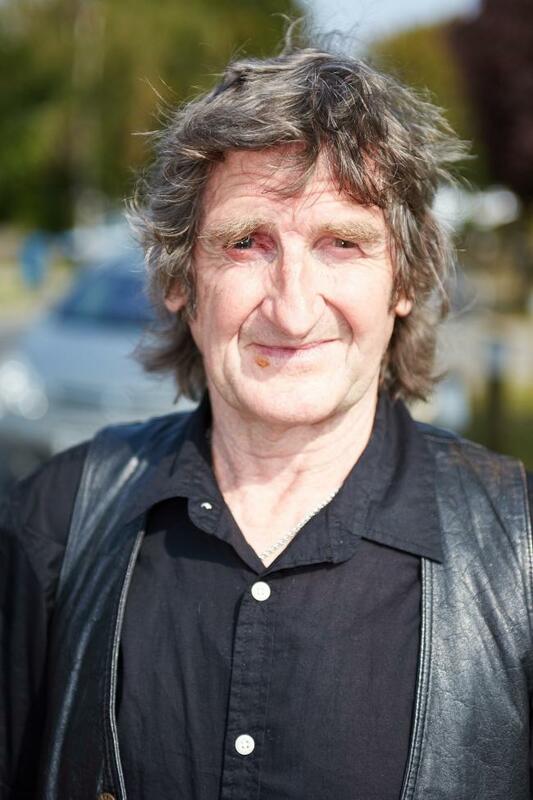 Independent city councillor for Marston Mick Haines led the campaign after pumps in the area struggled to cope with heavy rainfall. The first phase of the flood alleviation project, centring on Northway Community Field was first approved by Oxford City Council in July. The second phase, now it has secured permission to go ahead, will see the scheme extended to Court Place Farm Recreation Ground and Peasmoor Piece. The completed project will see natural moats and small walls installed, channels widened and a wetland reserve to use the open green space in the area as a defence against future flooding. Following the decision, the Oxford City councillor representing the Marston ward Mary Clarkson said she was pleased the plans had been approved. She said: “I think it is a really good idea and it has been very well thought through. This will make a big difference for Marston. “It will be a great weight off the minds of residents who experienced flooding in the past. “I have seen various people from the area who have had to get sand bags in when there has been flooding. When asked for specific dates on when the work will start she said it was too early to tell given that permission had only just been granted. All the work for the scheme which has been in the pipeline for the last ten years is expected to be completed by summer 2017. The scheme is being funded by more than £1.5m of government funding and £600,000 from Oxfordshire Local Enterprise Partnership. Photographer: David Fleming. Cllr Mick Haines (Left) holds up a petition with over 600 signatures, calling for a bus service. Behind L-R, Jimmy and Ann Holden, Pauline Collins, Isobel Carrington, Malcolm Everton, Joy and Tony Tizzard, and Keith Battson. 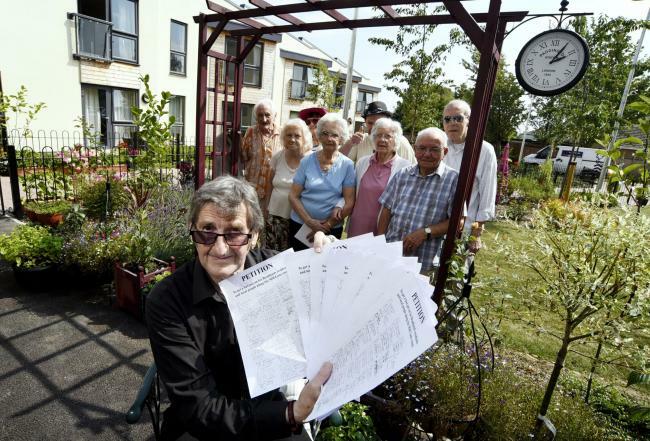 MEMBERS of a sheltered community in Old Marston feel they have "lost their independence" after their bus service to shops in Headington was cut. Residents of retirement home Bradlands say they are "isolated" and have been "let down" by Oxfordshire County Council as the impact of bus subsidy cuts sinks in. The community's H1 service halted on July 20 and since then some pensioners have been unable to get to nearby shops to do a simple food shop without having to make arrangements for family members to transport them. Marston councillor Mick Haines said it was an "absolute disgrace" that people who had "worked hard all their lives" had been left behind. Mr Haines will hand in a petition with 607 signatures on it to County Hall on Thursday morning to demand a service of some kind operate in the Bradlands area of the village. Bradlands resident Malcolm Everton, who has lived in the area for 15 years, said the residents were "promised" a new bus service when the sheltered accommodation in Mill Lane was re-built and opened in December 2015. The 67-year-old added: "There are people living here who can only get out once a week and have to rely on their family to take them out. "I find it absolutely disgusting and these people deserve better. The authorities want people to lives independently in the neighbourhood, this is not that. "It would not take a great deal of finance to re-route a bus down this street, it's common sense." Pauline Collins, 73, said: "We could get a taxi but they are laughing. Old people cannot afford to pay for a taxi every time we go to the shops. "We are not animals. We earned and worked and paid taxes and this is how we are treated." The nearest bus stop now to the residents is outside St Nicholas Church - about a mile from the home. Anne and James Holden moved into Bradlands about a month ago and used the bus twice before the service was scrapped. Mrs Holden said the couple moved from Blackbird Leys. 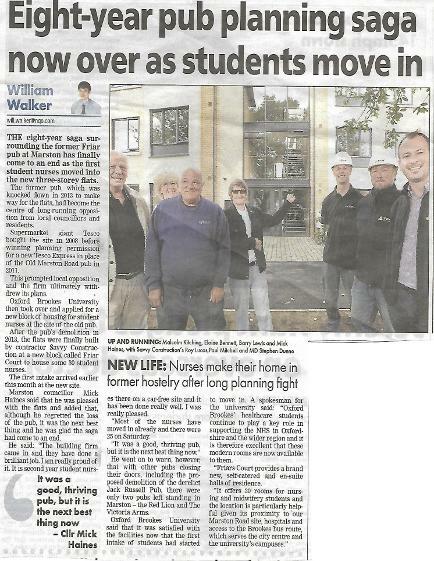 She added: "We have got family in Bicester who get into Headington and they take us shopping every Friday. "We are very grateful, but we have to rely on them. When we lived in Blackbird Leys we could go to the shops and it was lovely. You feel like you lose your independence." From July the impact the county council's decision to cut funding from 118 services has started to be felt with many routes being discontinued or changed to save £3.7m a year. Council leader Ian Hudspeth has said the local authority was working with bus companies to "minimise the impact on local communities". One way the council has attempted to reduce the impact is to supply a a fleet of 10 minibuses that can be blocked book for a regular time each week or individually used at 75p per mile. The Comet service, which also transports children to school and elderly people to and from care homes, is available between 10.30am and 2.30pm. I WOULD like to say it was good to see Hebborns Fun Fair come to Croft Road Recreation Ground this year. I hope everyone who went to it enjoyed themselves and hopefully the fair will return next year. Croft Road Recreation Ground is lacking behind with facilities compared to other areas regarding play apparatus equipment. Marston GP surgery merges ahead of possible closure. A Marston family doctors has admitted it is "struggling" to cope and will be merging with a neighbouring partnership. 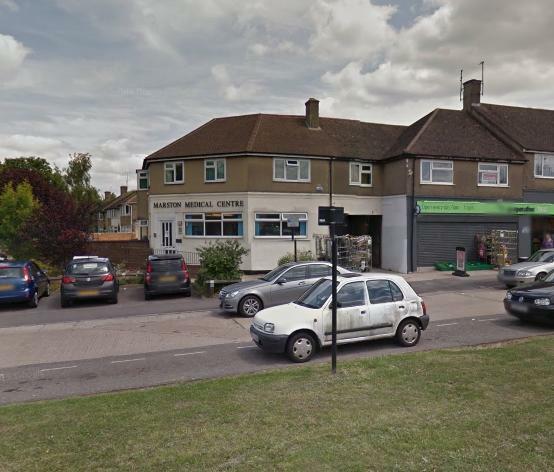 Marston Medical Centre will merge with Bury Knowle Partnership as of July 1 but the surgery in Cherwell Drive will only stay open "for the time being." Dr Jonathan Bickford, from Marston, said: "We have been struggling to maintain the service we wish to give to our patients, due to difficulties recruiting GPs and nurses and changes in funding. "By merging with the Bury Knowle Partnership, which runs practices in Barton, Headington and Wood Farm, we can tackle these issues, reduce our waiting times and offer more convenient and accessible options to patients. "All our medical and non-medical staff will continue to work within the merged practice and our patients should continue to book appointments at Marston as usual." Dr Bickford said they were looking for a new facility and hoped to move the surgery within Marston and Northway. As part of the merger, patients will be offered Nurse Practitioner appointments on top of the existing GP clinics. Julie Dandridge, head of primary care at Oxfordshire Clinical Commissioning Group, said: "This merger is good news for the patients at Marston Medical Centre who will have a wider range of services. "Marston and Bury Knowle practices share a like-minded ethos and work extremely hard for their patients. We are sure there will be a seamless and safe merger of services for all Marston patients."